The main purpose of the role is to help increase revenues by selling our telecoms equipment and telecoms services into companies in the UK. This would also include cross selling/up selling to existing customers. As a business, we require all our employees to adopt a hands-on approach, so this diverse role would suit someone with bags of initiative who is looking for a long-term career opportunity. You should work well in a team and be willing to learn and adapt and you should be happy to travel locally within the South East area. At least a year’s experience in a similar role is preferable, ideally selling or supporting technical products, however, full training will be given to the ideal candidate. We offer a friendly working environment with perks such as commission and quarterly staff outings. We have a position for a technically minded school or college leaver looking for a career in the telecoms/IT industry. You will work closely with our head engineer, learning on the job and the role will involve both manual and desk-based working. A confident telephone manner and good customer service skills are a must for this customer-facing role and you must also have a full clean driver’s licence and be prepared to spend time away from the office and on-site. In return, we offer perks such as a bonus scheme and quarterly staff outings. MF Communications is a global supplier of business telecommunications equipment. We supply new and remanufactured telephone systems, business phones, parts and accessories to companies around the world. We also offer a range of business telecoms solutions throughout the UK. Our emphasis is on providing quality products and a superior level of customer service. We pride ourselves on our extremely high standards. 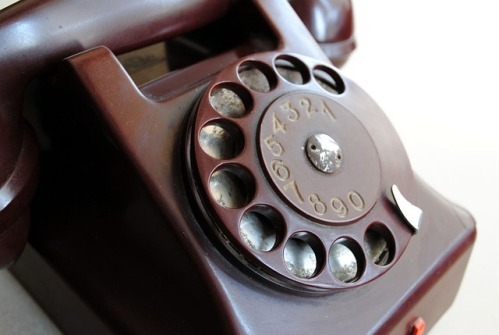 We take care of our customers, committed to making sure they stay connected and updated with the latest telecommunications solutions by maintaining and supporting their current PBX system. Our employees consist of telecoms engineers, warehouse operatives and sales executives. Our team is full of hard working individuals with a strong ethos of dedication, commitment and teamwork. We take pride in our work, embrace challenges and value the opportunities that are open to each member of our team. Get in touch with us. We’d love to hear from you. Email your CV to us at info@mfcomm.co.uk, along with a brief description of your experience.